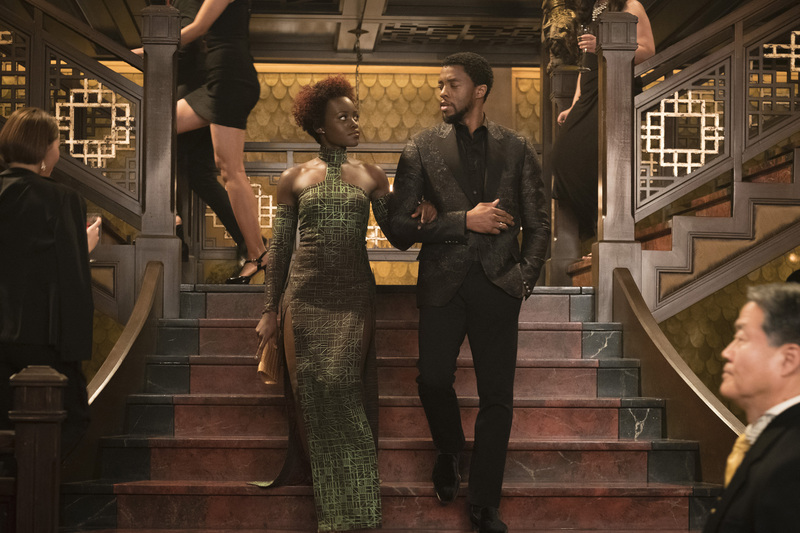 (l-r) Nakia (Lupita Nyong’o) and T’Challa/Black Panther (Chadwick Boseman) in Marvel Studios’ BLACK PANTHER. ©Marvel Studios. CR: Matt Kennedy. HOLLYWOOD—After delivering dead-on performances depicting pioneering African-American icons of the 20th century—ballplayer Jackie Robinson, vocalist James Brown and justice Thurgood Marshall—actor Chadwick Boseman dons the suit of a fictional superhero in “Black Panther,” in the highly anticipated big screen adaptation of the longrunning Marvel comic book series. Boseman recalls that he was attending the premiere of “Get on Up” in Switzerland when his agent called him with the news that Marvel Studios was interested in casting him in their next “Avengers” movie. Boseman plays stoic and strong Prince T’Challa, who is primed to become the new King of Wakanda following the death of his father (killed in an explosion in “Captain America: Civil War.”) T’Challa’s accession to the throne is put on hold when forces outside his peaceful country lure him out and onto an international adventure. Pushed to the limit and charged with protecting his nation, T’Challa must prevail by any means necessary or risk the lives of his people, a secret, enclosed society with highly advanced technology. 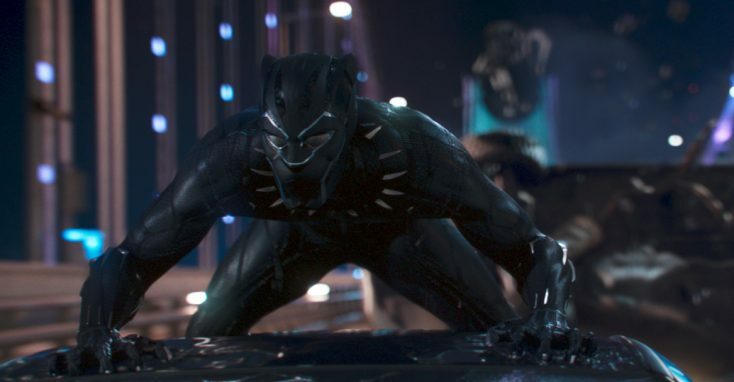 Boseman says he has been intrigued with Marvel’s “Black Panther” series ever since he Reginald Hudlin took over the decades-old comic book series in 2005. (Marvel’s Stan Lee and Jack Kirby created the character in 1966.) Further, the idea of seeing Wakanda depicted onscreen in a big budge studio movie (Marvel is owned by Disney) was compelling. Letitia Wright plays T’Challa’s smart-mouthed kid sister, who also happens to be a tech whiz that provides his alter-ego Black Panther with his high-tech suit and gear. Director Ryan Coogler (“Fruitvale Station,” “Creed”) says he and co-writer Joe Robert Cole incorporated ideas from every writer that has touched T’Challa’s character in the Black Panther comics. One thing that Boseman insisted on about his character was that he speak with an African accent, which he explained at the press conference.